Too easy for me or good? Easy but good, I think. 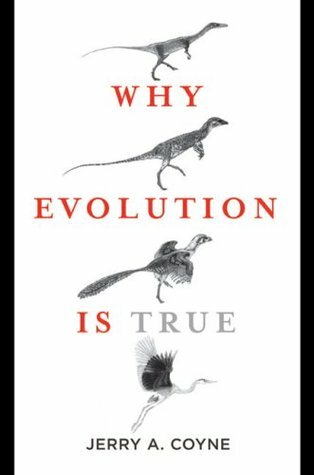 Lots of detail, and lots of very clear explanations that show you how to persuasively argue for evolution. You’re taking a course on Coursera? Which one? I’m currently taking Dino 101. Okay, they sound interesting — what are the course titles? Links?! Wish I had more time for more. Thanks! I’m a freelancer, so I make the time. It has its advantages! I checked out the others. There’s one that looks interesting. Haha. Maybe you are. I think I would be if I had the time. It is a lot of fun, and there’s so many interesting courses! Very true. I may move beyond the sciences one of these days. I do lit where I can too, and history, but the peer review for lit classes is often ridiculous. I mean, I’ve got an MA in English Lit and someone told me I wasn’t capable of comparing two texts and should “stick to the easy stuff”. Whaaaaat. Probably someone who’s never taken a literature class in their life. That’s true — my main problem with peer review. Are they truly peers? At least when I was taking a writing class in university, they really were my peers. Mostly, they really aren’t. It’s a marking system I’m not used to at aaall.